The East Dundee Enterprise Truck Rental location provides access to a wide range of cargo vans, box trucks and tow-capable pickup trucks for both business and personal use. Enterprise Truck Rental is opening its eighth location in the Chicago area this month. The branch office is part of a plan to double the number of branch locations in the Chicago area over the next three to five years. The East Dundee Enterprise Truck Rental location provides access to a wide range of cargo vans, box trucks and tow-capable pickup trucks for both business and personal use. Enterprise is working with local service shops and other area vendors to purchase and maintain the vehicles. Enterprise Truck Rental is a service of Enterprise Rent-A-Car, which has delivered local transportation solutions to customers for more than 60 years and is an integral part of North America’s transportation infrastructure. In fact, Enterprise Rent-A-Car has more than 5,800 fully staffed neighborhood and airport branch offices located within 15 miles of 90 percent of the U.S. population — including approximately 160 in the Chicago area alone. Enterprise first began renting commercial trucks in 1999 and, a decade later, started offering truck rentals for personal use in response to customer demand. Today, personal use accounts for 20% of Enterprise Truck Rental’s business. Over the past decade, Enterprise Truck Rental has tripled its number of locations from 100 in 2007 to more than 300 today throughout the U.S., Canada, and Puerto Rico. 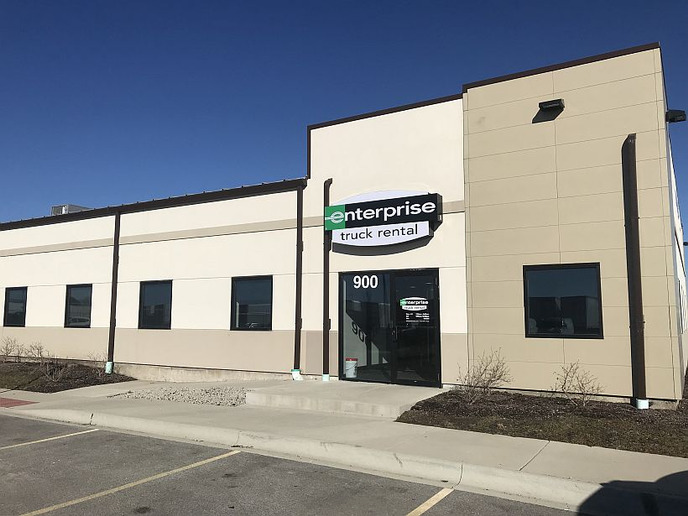 The East Dundee branch opening is part of a broader growth strategy to increase Enterprise Truck Rental’s North American presence, particularly in highly visible areas. In total, the East Dundee Truck Rental team will consist of three full-time employees — one branch manager and two account specialists — as well as a part-time service agent. Chicagoland is home to more than 2,000 Enterprise employees. In addition to offering customers more convenient truck rental locations, the expansion is creating opportunities for Enterprise employees to grow their careers.